Just one more — how many times have you been promised something, someday? And, someday never came. Builders know this as the secret to accomplishment, “You must begin — and, begin again.” Because — they live by this creed. Much more than an audition for the opening night of the Broadway playbill, Life — this is the Real Deal. So real, in fact, I want to share insight from my children. To be precise, they are young adults, who are taking Relationship Strategies to increasingly higher levels for the benefit of all. Lindsey and Ryan are priceless gifts. Yet, at times, they will also purchase tangible expressions of reminders for me. 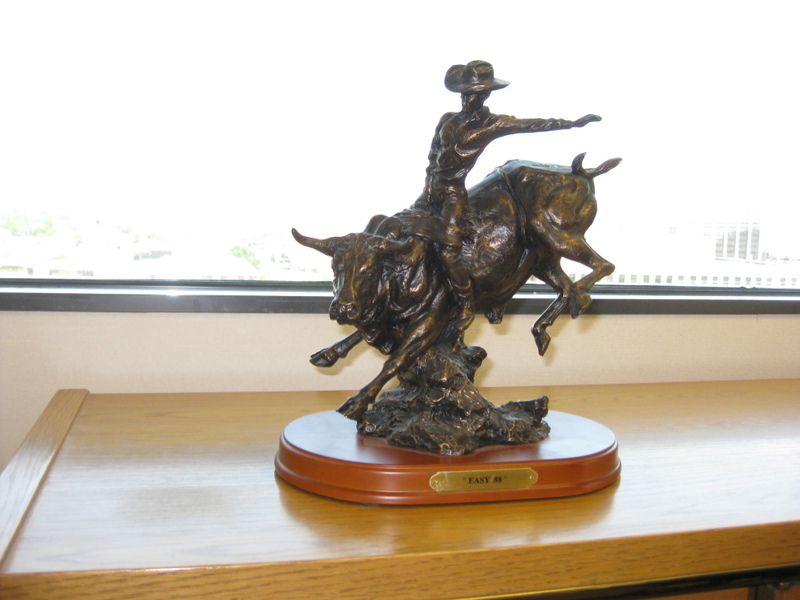 On a Father’s Day, Ryan presented “Easy 88“, a bronze of a cowboy making a great ride on a bull. 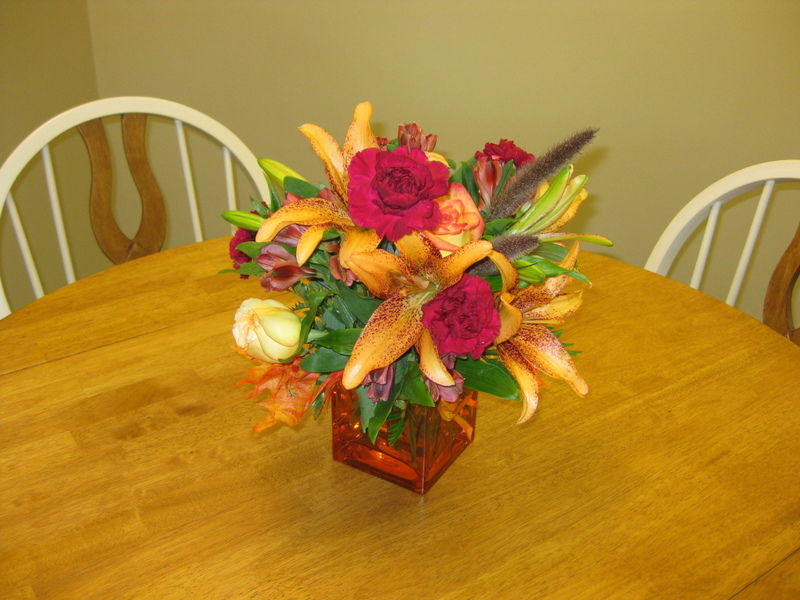 On another day, a beautiful bouquet of flowers arrived from Lindsey, in acknowledgment of birthday “Fifty-Five“. 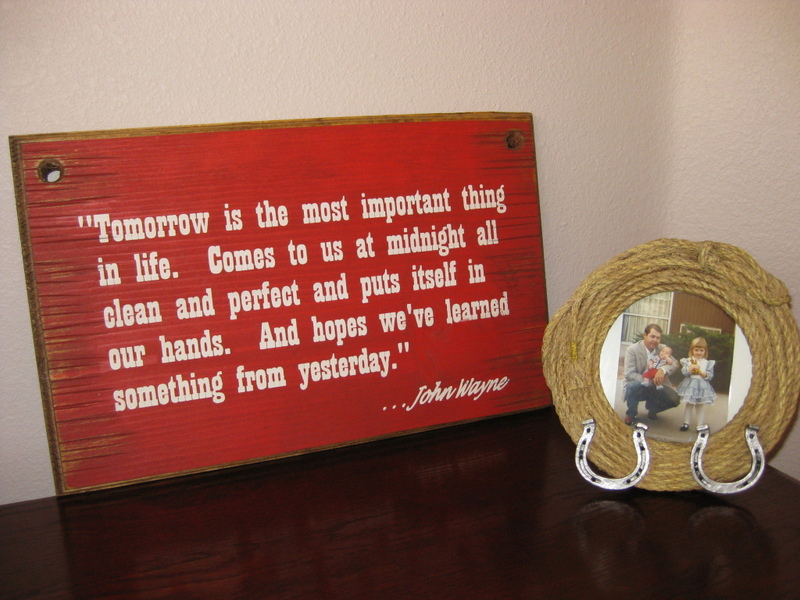 Tomorrow is the most important thing in life. Comes to us at midnight all clean and perfect and puts itself in our hands. And hopes we’ve learned something from yesterday. Forgiveness ~ Let go of the notion that there can be a better, or different, yesterday. The purest definition of a ‘Rut’ — a grave, with the ends kicked out. When we replay the past in our minds, over and over, a rut forms — a pattern of thinking. Really, those familiar grooves are the equivalent of a broken record — ‘round and ‘round the same track, while expecting new music. Does insanity come to mind?! A common theme in my Family is music — always has been, always will be. It is the best way to convey messages for us to remember. When we do it right, the livin’ that Dolly encourages is more like playing, than working. Although, as with all things in Life, there is a fine line. On the one hand, we must acknowledge this is serious business. Because, at the end of our Play, all of the props go back in the box. On the other hand, we learn the most when we are playing and having fun. And, that, my friend, is the point — We are to learn, grow, care, share, and love. There’s a story about a southern farmer who goes out into his field early one morning to catch his mule for the day’s work ahead. To his dismay that mule was nowhere in sight. As the farmer headed back to the house, he passed an old, abandoned, hand-dug well. Sure enough. At the bottom of that well was Clyde. Since the farmer was poor, he had no money to hire the necessary equipment to lift that much weight, from that far down. He was rich in friends, though. So he asked his neighbors to bring their shovels. As sad as it was to lose Clyde, the right thing to do was to fill in that deathtrap. From the mounds of dirt excavated when the well was originally dug, the farmers began the serious business of burying Clyde and making sure nothing else was ever harmed by the long ignored danger of a pit. Making the best of a bad situation, they shoveled quickly. As they were finishing up their work and upon hearing something, they paused to look up. To their amazement, they watched Clyde jump out of the well. You see, while they were shoveling dirt down the hole onto Clyde’s back, he simply shook it off and stepped up. The gifts from Ryan and Lindsey are much more than plaques and bronzes, They are the evidence of their success in ‘shaking it off and stepping up‘. Through no fault of theirs, they have experienced The Pit and the Bad Hands of cards dealt to them. With courage, poise, determination, and grace, they have chosen to shake it off and step up — time and time, again. Consequently, the bull and bouquet speak volumes about their character. From the mouths of babes and the examples of our young people, we learn to — Preserve a childlike sweetness and innocence, while growing out of our childishness. 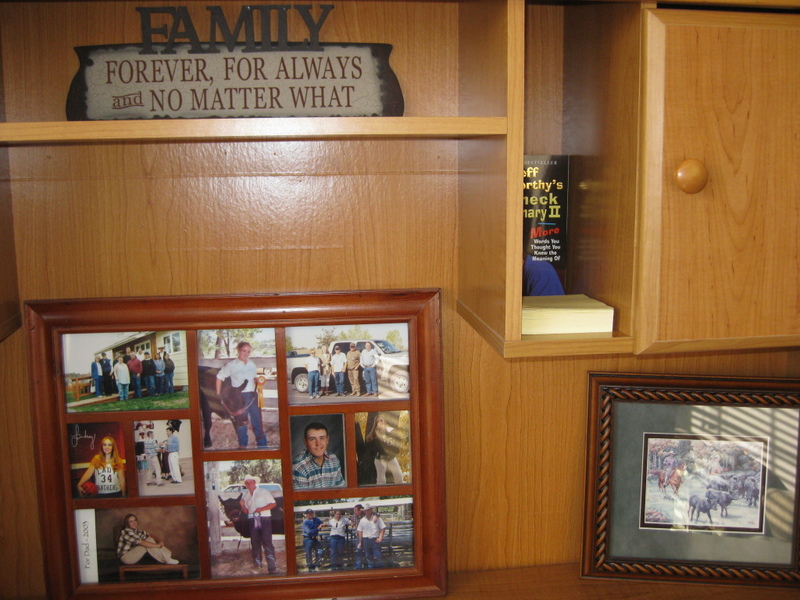 One thing I have, always, understood — Family and Work are the two legs carrying me across the stages of life. I believe purpose in life is discovered by acknowledging a power greater than ourselves. As a result, accomplishment is possible by being a conduit for timeless and priceless gifts. The greatest gift – LOVE – is a chosen, purposeful effort, often done in the face of fear, to nurture our own growth and the growth of others.